It’s no secret that I love books. However, my love for books goes beyond the printed page to bookish merchandise. 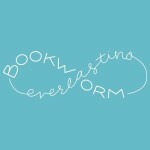 I’ve bought jewelry, throw pillows, candles, bookmarks, mugs, tote bags, cell phone cases, funkos, lettering prints (okay, really, my list can go on forever) – all related to books. It’s as much of an obsession as books themselves. Fangirl life forever. One of the many book related products I purchased, and would like to highly recommend, is a fleece blanket from Society6 designed by the truly wonderful Alexis Lampley. You can find her on Instagram @dropandgivemenerdy as well as on Redbubble, Society 6, and Etsy can be found. I was in awe when I opened my Society6 package and felt the A House Divided blanket. It is, by far, the softest blanket I’ve ever felt. I immediately wanted to curl up with it. In fact, that’s exactly what I did. It’s soft, warm, and HUGE. 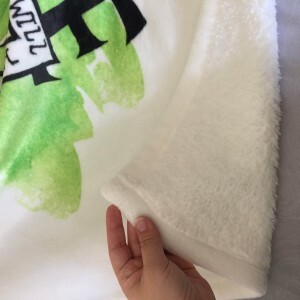 I didn’t realize there was three different size options for the blanket and I ended up with the default size, the smallest size. It’s big. 51”x60”. It covers the top of my queen size bed. And that’s just the blanket. Take a look at that design! We are truly a house divided here with me being a Slytherin and my husband being a Gryffindor. 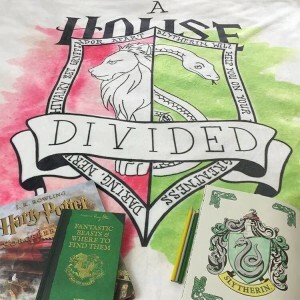 I love the divided colors of green and red, the snake and the griffin, both outlined with the respective house qualities. Show your Harry Potter house pride by picking up a fleece blanket. This design (and many others by Alexis) are available on a wide variety of merchandise such as mugs, throw pillows, phone cases, etc. My daughter was sorted into Gryffindor. I need this blanket!